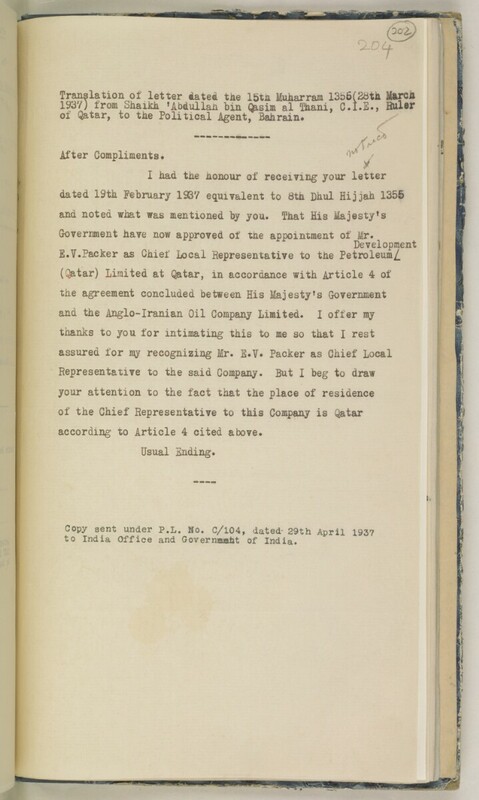 Government have now approved of the appointment of Mr.
E.V.Packer as Chief Local Representative to the Petroleum/. according to Article 4 cited above. to India Office The department of the British Government to which the Government of India reported between 1858 and 1947. The successor to the Court of Directors. and Governmht of India.